The American Chamber of Commerce in Shanghai (AmCham Shanghai) is a non-partisan, non-profit business organization established in 1915. It is the third overseas American chamber to operate worldwide and is now the largest AmCham in Asia. AmCham Shanghai represents 1,500 companies and 3,500 individual members and is growing by an average of 80 new members per month. We are committed to the principles of free trade, open markets, private enterprise and the unrestricted flow of information. AmCham Shanghai can help your business to lobby the government, stay informed on China business, network with peers, train your staff, promote your company, recruit staff and much more. The Consulate-General of the People's Republic of China in Melbourne was established in 1986. The consular jurisdiction is Victoria and Tasmania States. The Principal businesses are: promoting good-will exchanges and developing friendly cooperation between Victoria and Tasmania States and China in the fields of economy and trade, science and technology, education and culture, handling passport and visa, notarization and authentication and safeguarding the legitimate rights of the Chinese nationals. 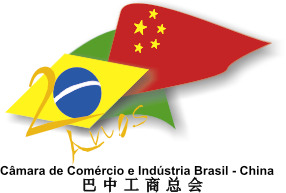 Founded in 1986, the Brazil-China Chamber of Commerce and Industry has been working to strengthen the strategic and commercial alliance between two giants, Brazil and China. Created at the personal request of former Vice Prime Minister of China, CCIBC has earned the support and personal handwritten messages from many of the top leaders of both countries. One of our founding members became the President of Brazil and we have been honored to receive personal handwritten messages of support from successive Presidents of China. PymesOnline is a leading B2B Spanish language portal specially designed to assist enterprises to do business in Spain and Latin American Markets. Jctrans Logistics Network Co., Ltd. is China's leading B2B Logistics website. At present, we have about ten thousand members of freight forwarders, customs brokers, cargo owners, and ship owners around the world. We rank as the 1st logistics website in China during the past four consecutive years according to Alexa. Our product GCP (Global Credit Pass) enjoys acclaim among Customers. Ttnet.net is a directory of trade leads helping buyers and Asian sellers do business together. If you are a buyer, use ttnet to source manufacturers, suppliers and products. If you are a seller, use ttnet for exposing your business. Apricus Solar Collectors are high efficiency evacuated tube thermal solar collectors designed for both domestic and commercial solar heating applications. Exported worldwide, Apricus Solar Collectors have obtained both US and European solar quality and performance approvals. Crov.com was created by www.ucpm5.com.cn with small to medium-sized businesses' needs in mind. In establishing a one-stop wholesale center, we brought the most trusted Chinese factories together with small and medium-sized businesses. Previously, these factories only worked exclusively with large retailers and major global brands. But now, through an exclusive agreement with Crov.com, smaller businesses are able to gain access to these premium goods that evidently improves their level of competitiveness in the global market. Doba is an e-commerce platform empowering retailers and wholesale suppliers of all sizes to easily connect and do business. It has been simplifying and streamlining product sourcing for the emerging market of millions of web-based entrepreneurs delving into the fray of starting and/or growing a retail business. China apparel & textile catalog and directory offers free and updated information on China apparel and textile manufacturers and companies. Poland-export.com is a B2B platform, which offers free access to database of Polish exporters. These are Polish companies interested in undertaking co-operation within export and import of goods and services. Welcome to our www.e-cigaretteschina.com - Your hottest one-stop online B2B website for E-cigarette and E-liquid! Our platform is proud to be a part of the upcoming revolution that's already helping millions to change their lives for the better and quit tobacco. We have top quality suppliers and all types of E Cigarettes & accessories, offer over 70,000 Specialty Electronic Cigarette items across nearly 70 categories, for example: EGO E-Cigarette, Starter Kits, E-Liquid, Atomizer, Cartridge, Drip Tips and so on. And we are always developing and adding products to our website to meet your demands. Free Global Marketplace - is the leading Online Trade Platform based on reliability for covering products manufacturers, suppliers, exporters and importers worldwide. Product Ranking on fairness and equality is promoted and practiced on Weiku.com. Business e via Italy (BEV) is an online business service designed to help anyone set up in Italy, enter the Italian market or find a business for sale. BEV also helps Italian companies reach international trading partners. The BEV website is simple to navigate in Italian and English. There are two main sections on the site - Invest and Trade. BEV's mission is to be the best and most comprehensive online information source for and about Italianbusiness.With BEV on your side, doing business with Italy has just got a whole lot simpler! en.ofweek.com is an industrial B2B marketplace for global importers and buyers to source products from China manufacturers and suppliers.OFweek specializes in automation, led, laser, display, solar, telecom and much more industrial fields.